Lee Bowyer has confirmed that QPR’s Paul Smyth is on his list of potential striker signings – but Charlton Athletic are not set to do any deal before the weekend. The Addicks have lost top-scorer Lyle Taylor after his three-game ban was upheld by an FA disciplinary panel. Bowyer has one more loan slot to fill – with a maximum of five allowed to be be involved in a matchday 18. 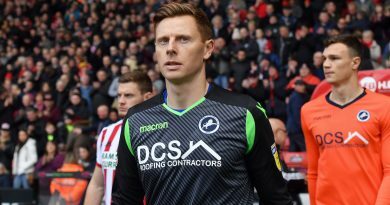 Asked about Smyth, the Charlton boss told the South London Press: “He is somebody that we’re interested in, along with a few others. “We are looking at a few to be honest but yes, his name is amongst the list. “Nothing is likely before the weekend. I’ve said before I don’t want to dive in. I don’t want to just bring someone in, it has to be the right person. We’re doing our homework on players and speaking to coaches. Steve [Gallen, head of recruitment] is obviously speaking to people. Bowyer says Reeco Hackett-Fairchild is set to deputise for Taylor at Peterborough on Saturday. He missed the 1-0 win over Accrington with a niggle. “Igor [Vetokele] is on his way back – he trained on Tuesday,” said the Charlton boss. “Reeco is training again today. So he is back now. “It will be a case of just bringing Reeco in for Lyle, I think that’s what we’ll look to do.